Three hundred eighty-five pro-lifers attended the Arizona Right to Life 31st Annual Conference on Aug. 28-29 to learn from nationally recognized speakers whose fingers are on the pulse of the Pro-life Movement. Included among the guests were elected officials Sheriff Joe Arpaio, Senators Jack Harper and John Huppenthal, Representatives John Kavanagh and Debbie Lesko, Paradise Valley Mayor Vernon Parker, and the 2009 McWhirter Award recipient Treasurer Dean Martin. TAKE ACTION: with ObamaCare on the way, we must make it clear that we do not want our taxes being used to pay for abortion! Click the links to get the contact info for your Representative and Senators and urge them to say NO! to Obamacare. Email your elected officials here. Scottsdale-Aug. 28-- Babies will now have their "say" even before they get the chance to speak. 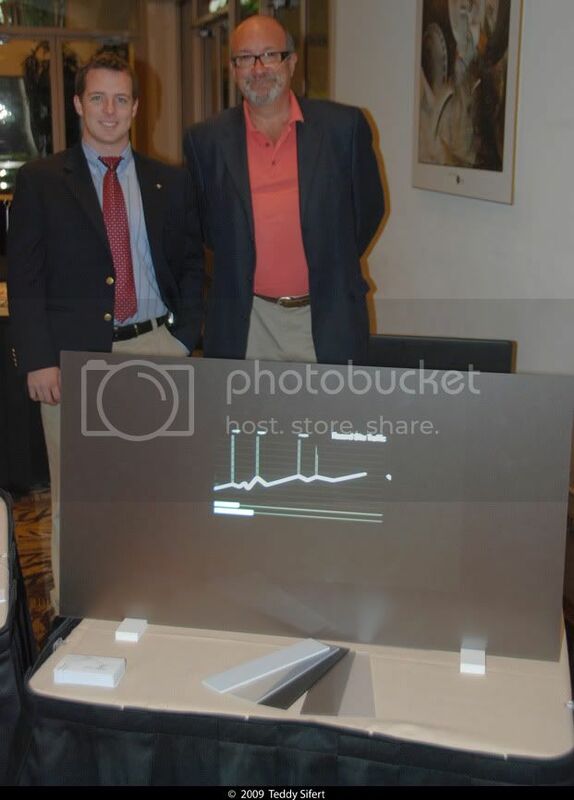 Arizona Right to Life unveiled a partnership with the makers of the world's most advanced video screen display technology to project 3D Ultrasound videos in front of millions of people every year at various public locations in Arizona. Rendering Plasma and LED screens all but obsolete, these new, virtually indestrucable, all-weather screens are made from a light-capturing acrylic, allowing the images to appear just as bright in broad daylight or darkness--even from behind UV-proof glass! 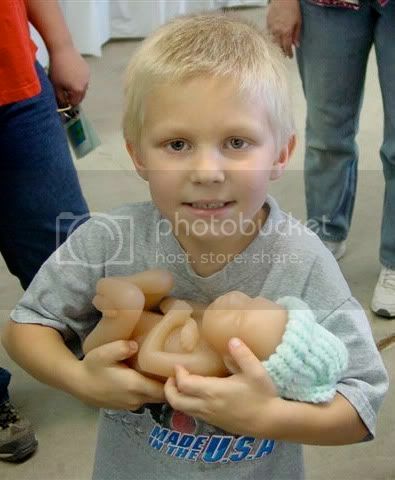 Want to see more children learning with true-to-life fetal models? 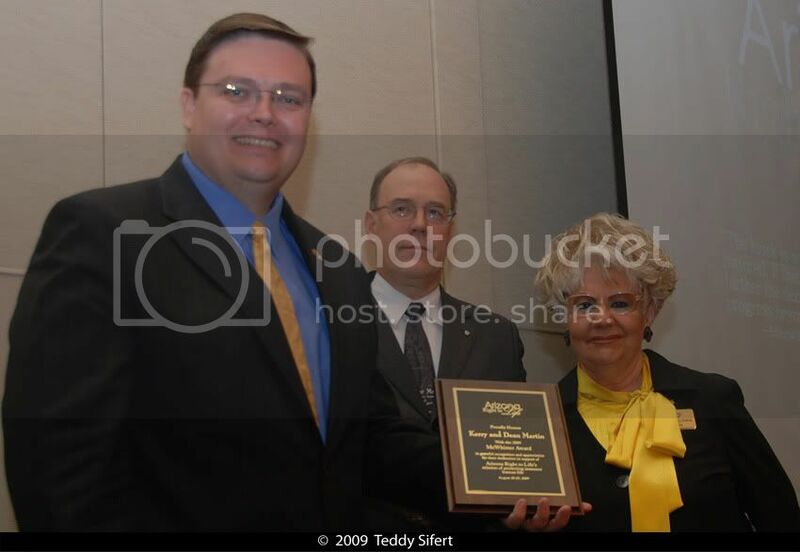 Scottsdale, AZ--Aug 28--Named after the co-founder of Arizona Right to Life, the Dr. Wallace McWhirter Award was presented to Dean & Kerry Martin by President Jinny Perron and VP John Jakubczyk on behalf of the Arizona Right to Life Board of Trustees. AZRTL Chapters are Essential to Our Success! Contact a local chapter leader to find out how to get involved in your community.